Parent company Twitter recently announced the closing of its once revolutionary app, Vine. Conceived in 2013, the application catered to the youth generation, capturing humorous clips, sports highlights, and memes in a short six second format, making it a staple in many people’s social media arsenal. But the initial positive reception did not equate to the app’s longevity. Raving reviews first met the app, as its format was ideal for the youth’s attention spans. The Ringer’s Alyssa Bereznak summed it up best: “The same way you can suddenly find yourself among a pile of cookie crumbs halfway through a package of Oreos, you can also emerge from a seemingly endless stream of tabs, wondering how many loops you really went through in an evening.” The length of a Vine video is “low commitment” and “easily digestible,” a recipe that initially seemed appealing. However, the problem with Vine, and with many other allegedly new social media platforms, is that it is not an original or fresh idea. Most of the content on the app may display creativity, but the platform itself is stale. It is a more complex derivation of an already popular video sharing app like YouTube, with a few tweaks and adjustments. It does little to set itself apart from its parent company and other big names like Facebook and Instagram, which resulted in a short shelf life. The app became stale, rarely adding features to spice up or add to the looping video clip experience. Since its conception, clairvoyants, avid users of the app (aka “Vine-famous” celebrities), and people who were just plain indifferent had reservations about Vine’s vitality. There was little room for growth and improvement simply given the the concept of the app. It was one-dimensional and offered no diversity in its features. An app that solely shows reruns of six second videos? There’s no way that could subsist among the ever evolving internet. Anyone will eventually get tired of Eminem dub rapping about M&M’s. In the end, Vine was the little kid relegated away from the adult table. It was intended to target only one demographic with the only function being entertainment, which ultimately lead to its downfall. It’s impossible to comprehend a news byte or understand a social issue in the time it takes to heat up a dinner roll. That’s what makes Facebook and Twitter so appealing and versatile — they’re multi-faceted, allowing the internet user to browse, share, connect, learn, and think. The concept of Vine was doomed from the get go and unfortunately for entertainment seekers and performers alike, its once infinite loop has come to a screeching halt. 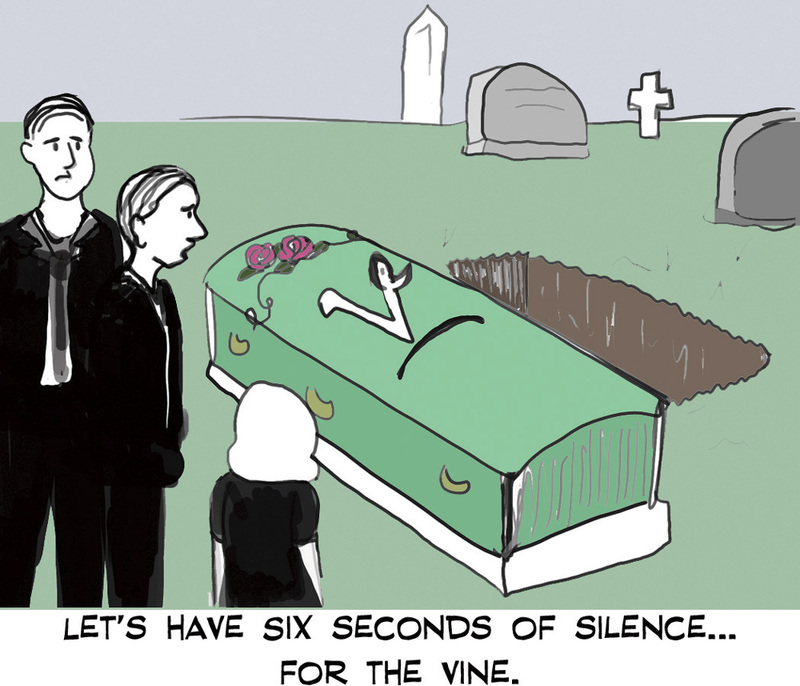 Loved Vine. But, this is an example of why you need to make changes in order to survive in this world.